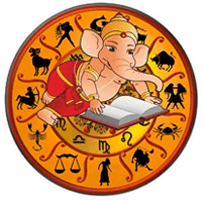 Vedic Astrology divides time into five fundamental parts together called the Panchang. The Panchang is used by Vedic Astrologers to judge the auspiciousness of the time and is also used to calculate the vedic birthchart of a person. Get the Panchang for anywhere, any date? You can get the Panchangam for any date by selecting the date. This program supports Panchang starting from the year 1920.